Find great gifs for family and friends from voice activated lava lamps to a miniture replica of a street payphone. 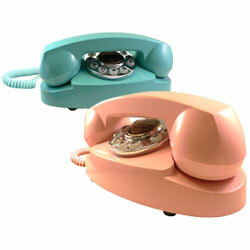 These novelty telephones and accessories are packed with colorful accents and engaging features. 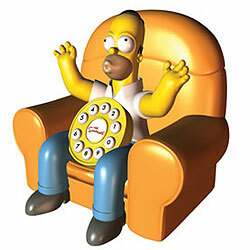 Homer Simpson Animated Talking Telephone features Homer talking and moving (his head and arms pop up) with an incoming call or when the demonstration button is pressed. "Don't touch it, it might be work!" "I'm leaving the clowning business to the clowns in the clowning business!" "Always do the opposite of what Bart says." "If that's Mr. Burns, I'm not here!" Say hello to your favorite ogre! 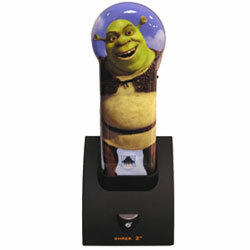 This sleek Shrek designer compact corded telephone features a high-gloss image of the lovable Shrek. 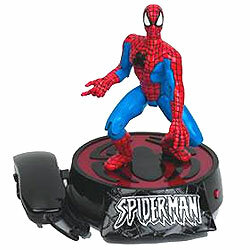 This Spiderman animated novelty telephone is an exact replica of Marvel's Spiderman action hero who throws a web and talks with incoming call or touch of demo button. 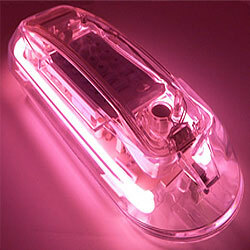 It also features a light show and music that activate with incoming calls or touch of demo button. 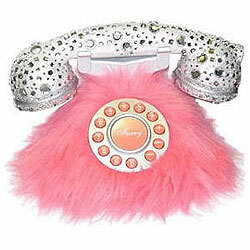 Emerson Novelty Pink Fur and Rhinestone Corded Phone has pink fur and a jeweled handset. Classic 1950's princess style phone.